There are many types of competitive swimming products used to help swimmers train to their fullest and reach their highest potential. One of the most widely used pieces of equipment, beyond your competitive swimwear in Dallas, are swim fins. These fins can help create drag in the water and help swimmers focus more on certain aspects of their swimming technique. The following information is critical if you intend to use these swim fins as part of your training routine. Swim fins can be an effective way to build strength and endurance. If you’ve ever gone swimming with swimming fins on your feet, you understand the impact. They certainly make you move through the water more quickly. However, these competitive swimming products do so much more than that. When you use them as part of your swim training, you can reduce your kick count by as much as 40 percent, allowing you to conserve more energy in the long run. This means you can swim more effectively without negatively impacting your swim times. There are many benefits to using swim fins as part of your training for competitive swimming. For instance, because of the increased resistance created by these fins, you will build muscle strength in your legs, making your kicks more effective when you swim without them. You will also see improvements in your kick technique, as well as your ankle flexibility so you can swim better. With the use of swimming fins, you also improve your body position and your stroke technique, reduce the amount of stress your shoulders go through and increase your strength and endurance. While it’s best not to overwork yourself and you should always mix up your workout routine, the use of the right competitive swimming products will strengthen your workout and help you become a more effective swimmer. When you first start browsing competitive swimming products, you will find there are a lot of options from which to choose, even when you’re looking at one item like swimming fins. There are basically two choices you’ll have to make: the length and the flexibility. Length impacts how much resistance the swim fins create. Shorter fins are often best for more frequent use. Longer fins help you move faster and slow down your kick rate so you can focus on your technique. The flexibility also impacts how hard you must work while wearing these fins. If your swim fins are too flexible, you can see a reduction in benefit. However, the right answer is based entirely on your own preferences and strength level. If you’re looking for the best competitive swimming products, including competitive swimwear in Dallas, contact us. We carry everything you need to train to be a better swimmer. When it comes to training for swimming, there are many types of gear you need to consider, some of which offers variations that are suitable for different types of training. Depending on your specific goals in your training, it’s important to know which swim fins are the best choice for you. Short swim fins will create resistance in the water and are ideal for backstroke and freestyle swimmers. These fins will help you develop an appropriate kick technique and speed, creating a faster kick. Notched swim fins are designed to help professional swimmers as well. These fins typically also have a short blade, serving similar purposes as the short fins. However, these fins feature a design that more closely mimics the movement of the foot alone through the water. Also known as breast stroke fins, these swim fins aren’t as commonly used by swimmers. These fins force you to keep your feet together as you swim, which is a commonly used technique by butterfly stroke swimmers. The fins feature a curve that promotes proper movement and increases the resistance in the water. Beginning swimmers will be able to benefit more from the use of long fins. These longer blades will create greater resistance in the water, working out the leg muscles even more. They will also increase flexibility in the ankles and overall endurance, especially in the legs. In addition to certain types of Speedo swim fins, you will find there are other features you should look for. The stiffness of the fins plays a role in how much resistance they create. The stiffer the material, the more resistance you will experience. Some swim fins also come with channels. These channels will generate a different water flow, creating a more natural feel as you swim. There are a lot of competitive swimming products out there to help you become a better swimmer. Choosing the right swim fins to produce the results you are looking for is important. With these and other types of swim fins, you will find you can make improvements in particular areas of your swimming technique. If you’re looking for the best swim fins, contact us. We carry a vast selection of types so you can find the fins that are right for you. A swim boot can improve the fit of your swim fins. Swim fins are one of the best ways to help strengthen your legs and improve your swimming technique. However, even the best swim fins can leave behind blisters if you wear them alone. The way they rub against the backs of your ankles causes friction and can wear the skin away. If you’re looking for fins that prevent blisters, you can try a swim boot, which is an effective method of protecting your feet and ankles without feeling bulky. Many swim fins come in a small number of sizes, which can make it difficult to find the ideal size. Because feet and ankles come in a large number of sizes, you may not find any fins with the perfect fit. This is where the swim boot can help. The TYR swim boot fits over the foot like an ankle sock and can help the swim fin stick to your foot more efficiently than it would with skin along. The boot acts as a second skin, protecting your foot from friction and reducing the occurrence of blisters. There are many swim training tools that can be used to improve your performance, build your stamina and help you swim faster and more efficiently. Swimming with fins increases the amount of resistance you encounter, helping you strengthen your muscles and focus on your overall technique. Being able to wear your swim fins on a regular basis without concern over getting blisters is a useful asset to ensure you are always improving. Swimming with fins can be a valuable tool in improving your performance as a competitive swimmer. However, getting the right fit and choosing the best swim fins can be a challenge, especially if you’re looking for swim fins that prevent blisters. When you try a swim boot with your swim fins, you will find they fit much better, are less likely to slide off and will not cause blisters, allowing you to work out longer with fewer side effects. If you’re looking for the best swim fins and swim boots to go with them, contact us. We carry a vast selection of swim training gear that helps you become a better swimmer and make the most of your skills. The right swim training gear can help individuals learn how to swim. When individuals are learning to swim, there are many mechanics that must be learned well to ensure they can move effectively through the water. Whether they intend to be competitive swimmers or they want to swim for safety or leisure reasons, learning to swim will require many tools to make sure they can do so. One of these swim training tools is the Swim Stuff Rubber Swim Fins. These fins help build muscle in the legs and encourage swimmers to learn to kick properly for the best results. The Swim Stuff Rubber Swim Fins are the perfect tool to help individuals of all ages and skill levels to learn to become more effective swimmers in the water. 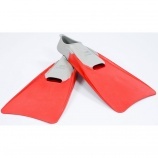 These fins are available in a variety of sizes to fit every foot. To make it easier for learn to swim programs to pair up the fins, each size comes in a unique color. Swimmers only need to grab two fins in the same color to ensure they are getting the perfect pair. One of the most important features of swim training tools is the ease of use and how comfortable they are to use. These swim fins fit over the entire foot to make sure they are comfortable for most swimmers to wear. The lack of uncomfortable straps will allow individuals to use them for longer so they can spend more time in the pool learning to swim well. The length of the fins can convert even the smallest kicks into the forward motion individuals need to learn to swim. This can help individuals who do not have strong legs to move through the water and focus on other aspects of their swimming technique. As these fins create resistance in the water, it can also help to strengthen the leg muscles so these individuals can swim on their own more easily later. Learning to swim can be an exciting venture for both children and adults. Whether they intend to swim competitively or just want to learn to swim for fun and safety, learn to swim schools are a great place to start. These schools offer all the training tools individuals need to succeed in the water, including swim fins, to help individuals learn the skills they need to move effectively through the water. 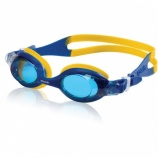 Swim goggles are an important piece of gear for children. Teaching kids to swim is one of the most important skills they can learn. Not only will it give them the ability to have fun at the beach, in the ocean and at neighborhood pools, it could also serve as a life-saving skill. Understanding the basic swimming techniques will help your child become confident in the water, enabling him to swim for fun or even begin competing and making a hobby out of this exceptional method of exercise. In order to teach swimming techniques, there are a variety of learn-to-swim training aids that are necessary. Swim fins, such as the Swim Stuff Rubber Swim Fins, are the perfect choice for the beginner swimmer. Swim fins are meant to teach the proper kicking technique to those who are just starting out, whether kids or adults. The long, rubber fin makes it easy to progress even the lightest kick into a powerful forward thrust, giving swimmers a competitive advantage. The full foot coverage of this fin makes it a natural extension of a child’s leg, making it simple to use. Swim goggles are more than an accessory; they actually protect children’s eyes while in the water. The chlorine and other chemicals in the pool can interfere with a child’s ability to focus in the water, forcing him to avoid focusing on his swim strokes and more on being able to see. Choose from a variety of goggles that include features, such as adjustable straps, expanded side view and soft frames, as well as UV and anti-fog protection. The kickboard is the perfect way to help a beginning swimmer focus solely on his leg movements. With the arms staying stagnant while holding the kickboard, ample focus can be paid to the legs, how hard they are kicking and the form they are using. Kickboards are popular in learn-to-swim programs and vary from basic boards, such as the TYR Jr. Kickboard, to the elaborate, such as the Arena Kickboard Pro, which offers a hydrodynamic shape and different hand positions to make it easy for even the youngest swimmer to use in the water. New swimmers in learn-to-swim programs need a variety of accessories to help them perfect their swimming skills. Whether you choose to use one or all of these training aids, they are sure to help your child perfect his swimming skills, whether to learn a life-saving skill or to take into a competitive swimming hobby. Swim training fins can help you strengthen your legs and improve your performance. Swim fins are one of the most important pieces of swim equipment for every swimmer, regardless of the skill level or reason for swimming. Even swimmers who swim for recreation could benefit from using swim fins. Fins help swimmers perfect their kick, encourage proper swimming position and strengthen your ankles as you swim. There are a large variety of fins to choose from; how do you know which pair is the right fit for you and your needs? Below is a list of the top swim fins for 2012. The Swim Stuff rubber fins are the perfect all-around fin for any swimmer. Inexpensive, durable and powerful, these fins make the perfect starter set. The long blade on these fins makes it possible for even short thrusts to turn into long, beautiful kicks. The full foot pockets make them comfortable to wear, especially for long workout sessions. The Swim Stuff short fins are a good fit for swim teams or people who swim for fitness. Their short blade allows swimmers to practice their flutter kick without resistance. They offer the perfect balance between your power and tempo to give you the most fluid kick. 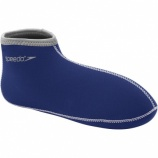 These fins offer a closed foot pocket to provide you with comfortable wear for many hours. The TYR Crossblade training fin is a multi-purpose fin, which makes it the perfect choice for training. The length of this fin contains the best attributes of both the short and long fin to give swimmers exactly what they need with different training techniques. Swimmers are able to work on their speed and tempo, in addition to creating a stronger leg with the resistance of a longer fin. 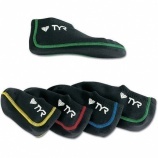 Made with a soft foot pocket, these fins are comfortable to wear for long swim sessions. To build a fast flutter kick, you need the short, soft silicone blade of the Speedo short blade training fin. The silicone offers extreme comfort, while the foot pocket makes them easy to wear. These fins are the ideal choice for master swimmers who need to increase their kicking speed. If you need to perfect your kick and spend hours in the pool working on it, you need the soft comfort of the Razor short training fins. They are short enough to help you work on your kick without making your legs too tired from too much resistance. These fins are the perfect choice to increase your racing speed. Speedo neo fin socks protect your feet in training. Swim training is an important aspect of being successful in the pool. This means you need specific swim training gear to help you learn how to kick more efficiently and to strengthen your leg muscles. One of the best ways to do this is through the use of swim fins. However, if you decide to make use of these useful tools, you need to do so in a manner that doesn’t affect your wellbeing. When you use swim fins, you can put yourself at risk of pulling muscles. However, this risk is fairly minimal when you are under the supervision of your coach. One of the biggest risks, though, is chaffing due to the friction between your feet and ankles and the swim fins. If you simply wear the swim fins on your bare feet, you are increasing your risks of this chaffing, which can be painful later on, especially if you hit the beach later. While there are these risks, using the swim fins is well worth the effort. There are also precautions you can take to protect yourself from injury. You can protect your feet when you wear your swim fins by purchasing the Speedo neo fin socks. These socks fit securely on your feet, allowing you to wear the swim fins without the risk of chaffing or blistering. Available in three sizes, you can find just the right pair that will fit you comfortably without taking up too much space inside the swim fins. Because of the material from which these socks are made, they won’t increase the resistance in the water. While the purpose of the swim fins is to increase the resistance, you don’t want to add too much resistance or you increase your risk of pulling a muscle instead of building them. Swim fins are a popular way to train so you can increase your endurance, as well as increase the strength in your muscles and improve your technique. When you choose to wear a pair of neo fin socks with the fins, you will decrease your risk of injury from using the swim fins. This will allow you to train in the most effective manner without having to worry about dealing with sores, blisters or chaffing after you get out of the pool. When you have to deal with injuries, it can actually slow down your training.